So you’re trying to start your new fashion business venture. 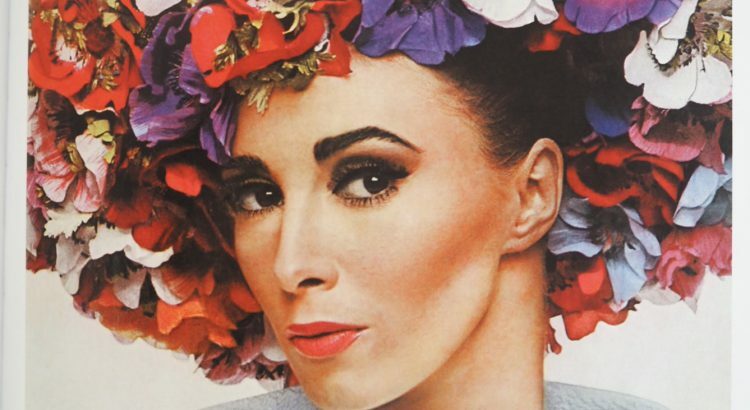 If you need any help with inspiration then delve into the Libraries General Collections or please note my previous blog post ‘Fashion Collections at the NLS’. Let’s say you have got your concept but are unsure how to turn it into a reality. Complete Business Reference Advisor. And when it says complete, it means complete. This is the most comprehensive source of business information I have come across detailing practical up to date knowledge and advice to aid you in starting your business plan, writing your marketing strategy or conducting research into a new market. Looking up ‘fashion design’ provided a wealth of information (159 original hits to be exact) and showed me potential subcategories from fashion accessory designer to, my personal favourite, pet clothing designer (quite a promising business opportunity apparently). 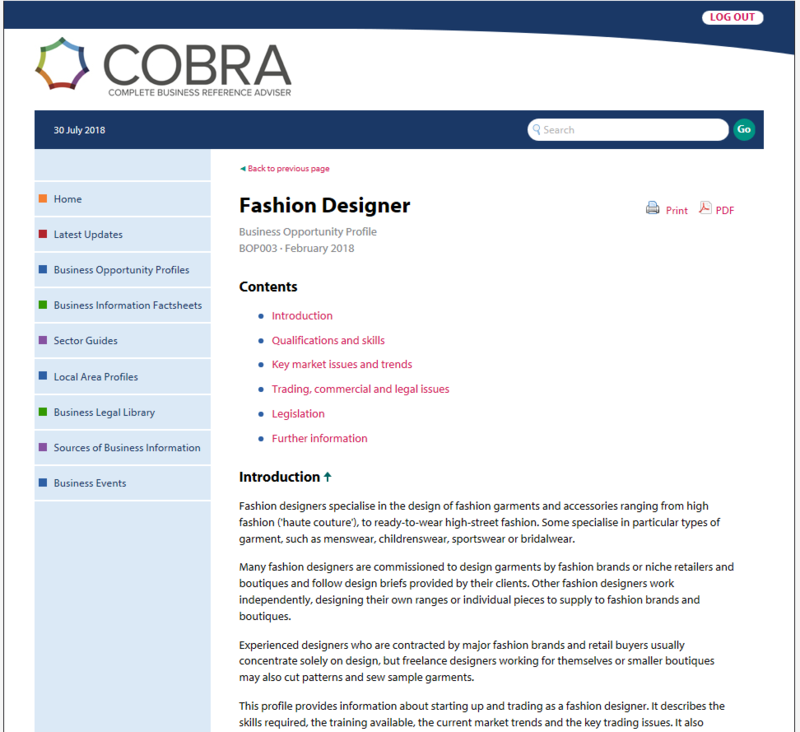 By clicking on the ‘Fashion Designer’ Business Opportunity Profile (BOP) I was then given a succinct plan of everything I would need to know in order to progress with my business, complete with a vast array of links to relevant material collated in one accessible list. The Fashion Designer BOP was updated February 2018 so you can trust it’s still relevant! Trading, commercial and legal issues: information for your new fashion venture regarding business incubation and start up funding all the way to insurance and waste disposal. One of the highlights of Cobra is their ‘Useful Contacts’ section found at the bottom of your chosen BOP. As I’m sure you are aware getting contacts is a vital part of setting up any business, especially within fashion, and this proves a unique and helpful tool. You can further search by sector such as ‘fashion retail’, this will provide relevant news and legislation regarding that industry. I found many valuable articles to help direct and develop a fashion business such as ‘Predicted Growth in the Swimwear Industry’, ‘Brexit’s effect on UK Fashion Brands’ and an article about ‘Inadequate Fitting Guidance’, which seemed extremely relevant as I have had an ongoing saga due to H&M online changing their sizing this month. 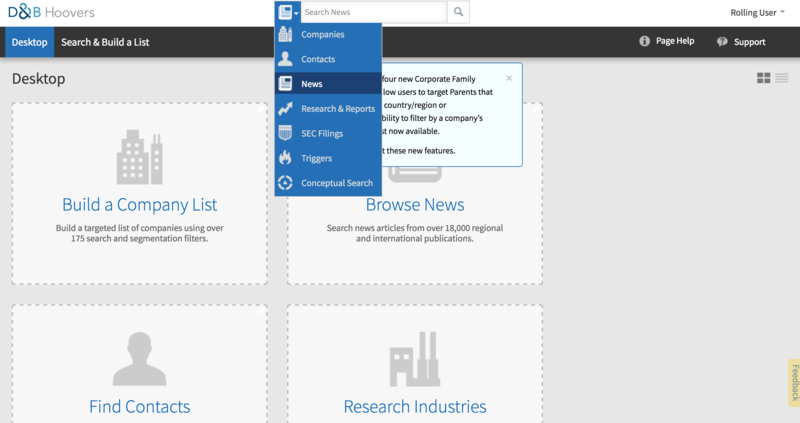 D&B Hoovers offers industry profiles, worldwide company profiles, market research, news and business articles. Therefore it is extremely helpful in providing an overall view of all the factors you may want to consider when setting up your business. 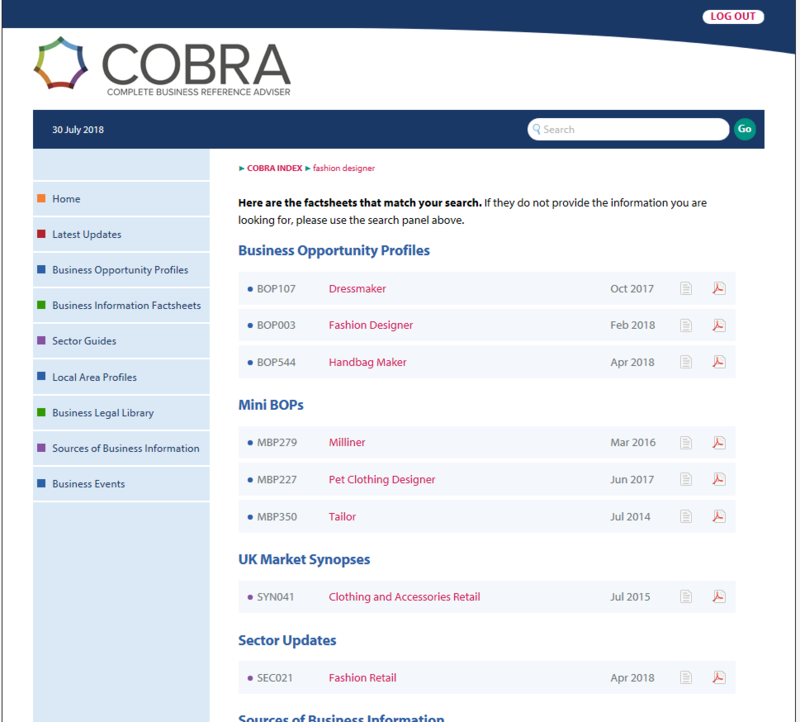 Two of the particularly useful sources of information that you can find are specific contact details (rather than the more broad contacts available on Cobra) and you can also build company lists. Furthermore you can choose to search your keywords in a variety of databases; Companies, Contacts, Research and Reports, Triggers. 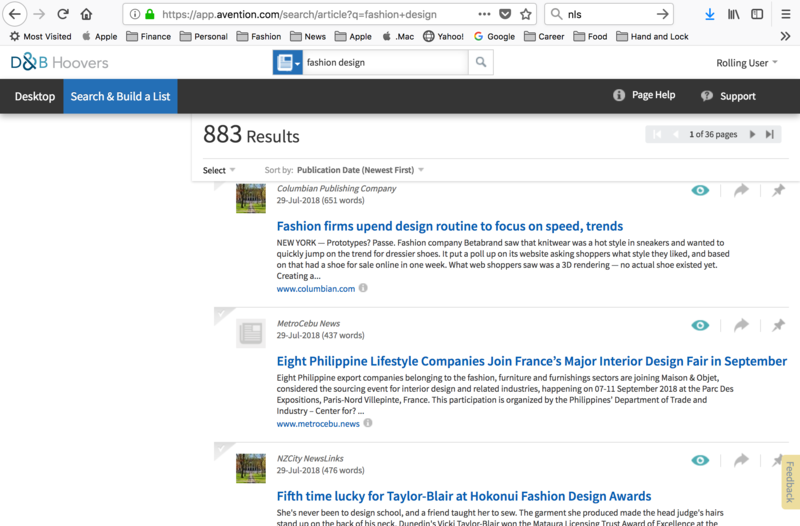 I tried searching ‘Fashion Design’ in the News section as illustrated below and found 883 results, I further refined my search by sorting by the publication date (newest first). One of the first articles really resonated with me as I have noticed an increase in fast runway to high street trickle-down trends recently. 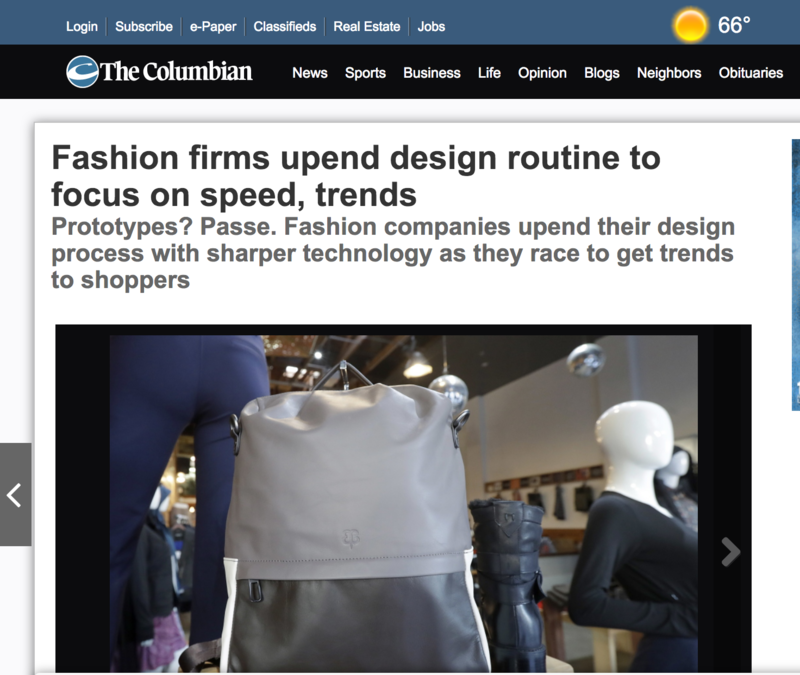 Subsequently I clicked on ‘Fashion firms upend design routine to focus on speed, trends’ and was transported to an insightful article by The Columbian. This knowledge of the fashion market can be invaluable to a new entrepreneur and help set you ahead of the curve. Frost and Sullivan provides detailed industry analysis focusing on chemical, energy, environmental and building technologies, healthcare, IT and manufacturing markets worldwide. Having said that, I still persevered with my ‘fashion design’ search template and was curious to see that I got 3,971 results. 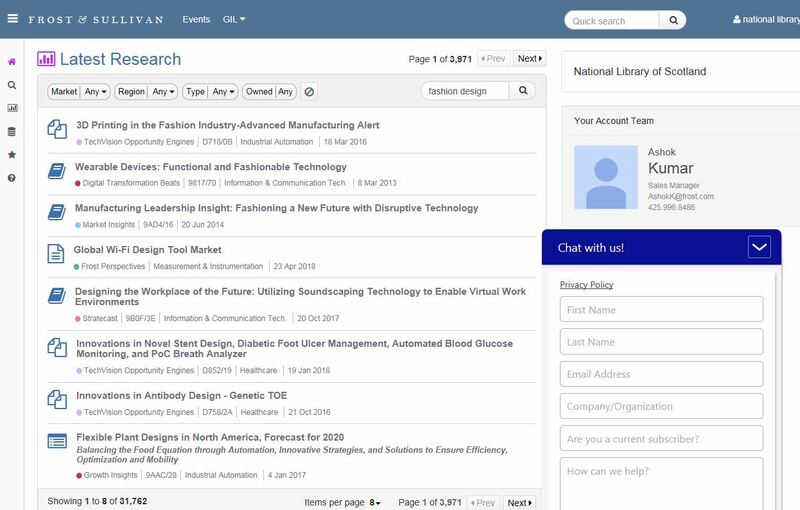 Therefore, this resource is great if you are looking for the latest in technologies that may change the fashion manufacturing landscape or revolutionise the supply chain process. For example, I read a May 2018 article from TechVision opportunity engineers titled ‘Innovations in Ultrasonic and Robot welding, PV Large format and multi material 3D printing, 3D exoskeletons, consumer and industrial robots’. This interesting article had some valuable insight into 3D printing and consumer industrial robots, which might be something to be aware of for the manufacture and retailing future of your new fashion business. 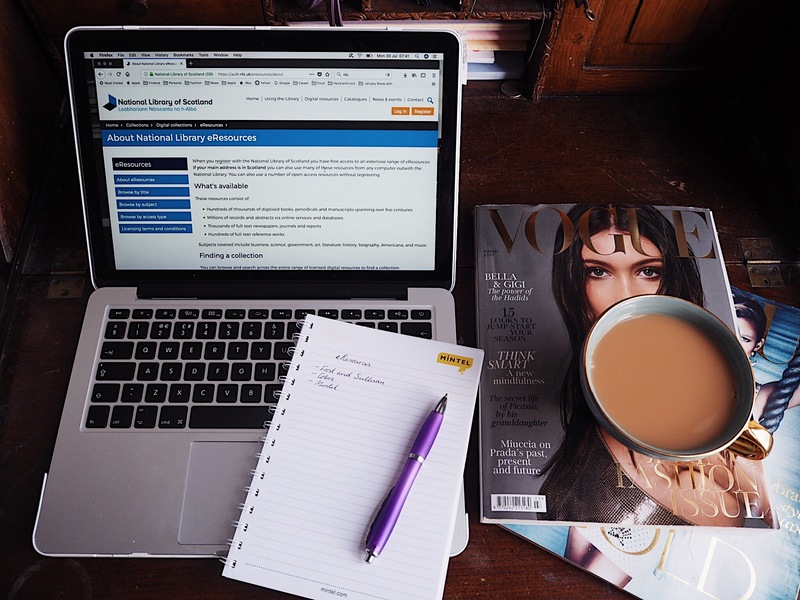 If you want to see the next steps including checking out the competition and keeping your business up to date with the latest trends using the resources available at the NLS then please see my next blog post ‘Fashion Business at the NLS: Part Two’! Please note: this picture was taken outwith the library as an example of using the eResources at home and no Vogues were harmed in the taking of this photograph.